​We're proud to feature changing exhibits each year. This year focuses on Hendricks County's Social Organizations and Scouting. Come and see the museum’s changing exhibit. 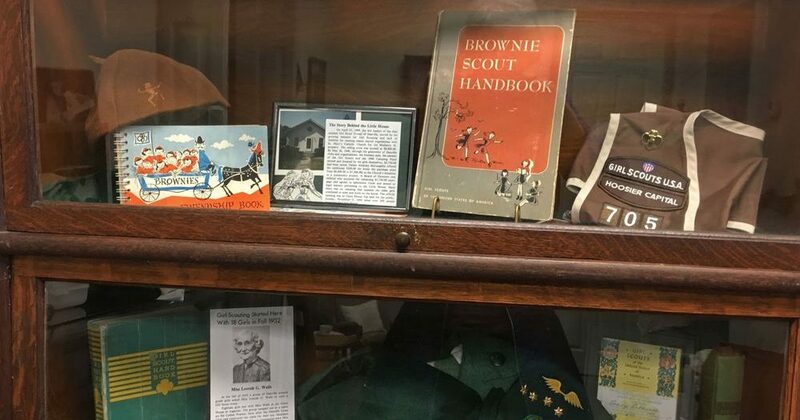 In addition to the Brownie Scout items shown here, you will see Girl Scout and Boy Scout items. Sororities and other women’s organizations are also featured, such as the “Up-to-Date” Club, and the Browning Club, which studied the poems of Robert Browning. Both clubs still meet today.